Heat oven to 375°F. Spray 8 regular-size muffin cups with cooking spray. 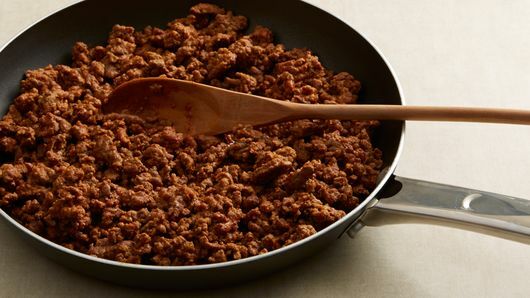 In 10-inch nonstick skillet, cook beef over medium-high heat 5 to 7 minutes, stirring frequently, until no longer pink; drain. Add taco seasoning mix and water; cook 3 to 5 minutes or until sauce is slightly thickened. Remove from heat; cool slightly. On large cutting board, unroll dough sheet; cut into 8 squares with sharp knife or pizza cutter. Line each muffin cup by pressing 1 dough square in bottom and up side of cup. 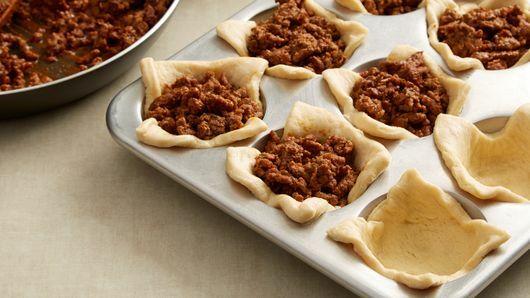 Divide taco meat mixture evenly among dough-lined cups, about 1/4 cup each. Bake 14 to 18 minutes or until dough is deep golden brown and filling is heated through. Cool in pan 5 minutes; using metal spatula, run around edge of each muffin cup to remove from pan. 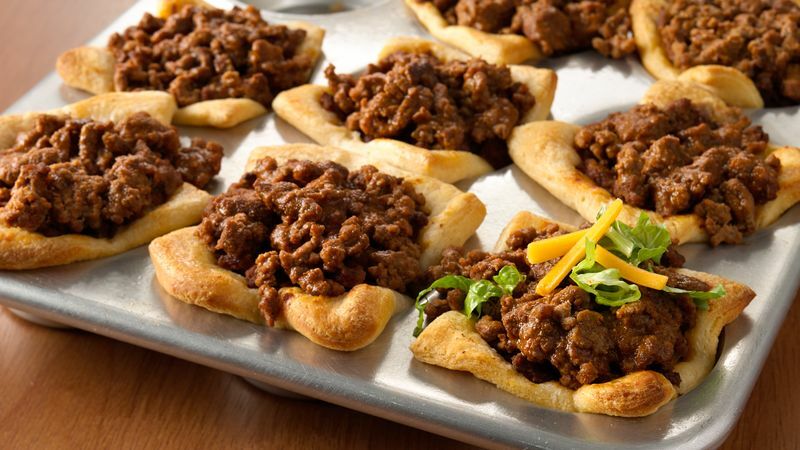 Serve with traditional taco toppings (cheese, lettuce and tomatoes). Recipe can be prepped up to 2 hours ahead of time. Just refrigerate until ready to bake. You may need to add up to 5 minutes extra bake time with this method. Salsa is a nice accompaniment to this recipe. 1 can (8 oz) Pillsbury refrigerated crescent dinner rolls can be substituted for the dough sheet in this recipe. If using dinner rolls, pinch seams and perforations to seal and cut into 8 squares with sharp knife or pizza cutter. Line each muffin cup by pressing 1 dough square in bottom and up side of cup.